I am really proud of this website. Like really really proud. Who would have ever thought that I could build a website? Working in the corporate world, with a great IT support team I found myself calling them multiple times a week for ridiculous things. Example: "Hi, my printer isn't working." IT support comes in, looks at the printer, then looks at the plug in and can see that clearly it isn't working because it came unplugged. Mostly likely the plug was hidden by all of my stupid desk gadgets and office art. I thought i was tech-dumb, but maybe I was just lazy and spoiled by having that kind of support. See picture below of stupid office art. Any who, I built this website. And you can shop for Sierra Winter Jewelry here. Or you can see it in person, try it on, and shop for it at one of our amazing retail partners listed below. Finefolk is a beautifully curated shop located in the crossroads district in Kansas City. Leslie Fraley, the owner, has created a store with some of the most amazing garments, shoes, bags, and jewelry in Kansas City. We are happy to have Finefolk on our list. You know those super cute workout clothes you see all over Instagram? The ones that make you think, 'Oh, I would be so fit if only my workout clothes looked like this.'? Well, chances are you will find those brands at Fitwear Boutique. I can only hope our jewelry make you feel as fit as you will feel when you shop here. Located on the Country Club Plaza in Kansas City, Coveted Home is an interior design studio, home and lifestyle shop. The brands they carry are dreamy and the vintage finds are pretty amazing. You will leave wanting to redecorate your entire life. 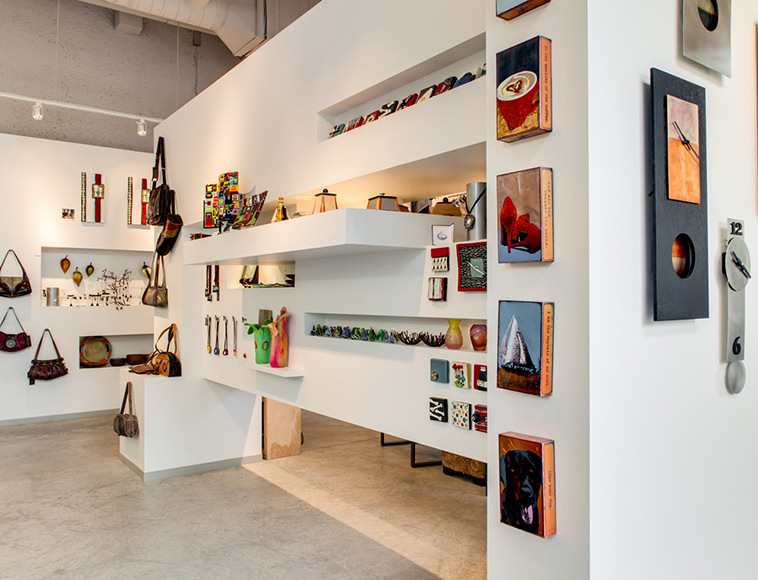 Tallulah Belle's is an artisan gallery showcasing artists from all over the United States. 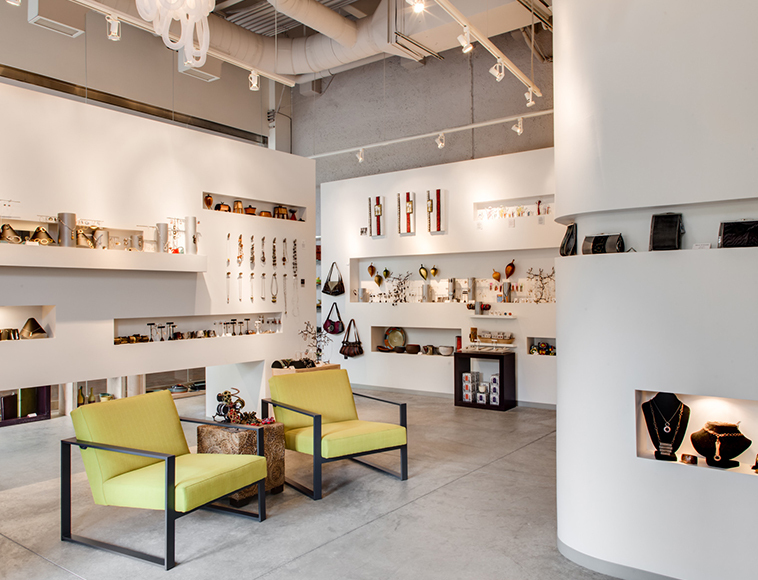 From jewelry, glass art, ceramic, handbags, and more, Melanie Coleman is very thoughtful when choosing artists for her store and we are lucky to be included in that list. The Winged Lion is located in my lovely hometown of Manhattan, Kansas. It is a unique home interior boutique offering gifts, seasonal products, and now our jewels! Ralph Diaz, the owner, is one of the nicest people you will meet in the Little Apple. Made In Kansas City opened in 2015 and has quickly expanded to four different locations around the Kansas City metro. The love this store has for everything made/designed in Kansas City is truly special as they highlight over a 100 local artists and designers. Our jewelry is sold at their Corinth Village and Briarcliff locations. Is there a store in your city where you would like to see Sierra Winter Jewelry sold? Let us know in the comments! We would love to hear your suggestions. PS. Here is a picture of some current stupid office art. I really love all of it. Life, Story TimeSierra Otto September 29, 2016 sierra winter jewelry, Jewelry, Introduction, who the hell are you?